The University values student input and wants to hear from you. Find out how to give feedback and become involved in making changes to the student experience. 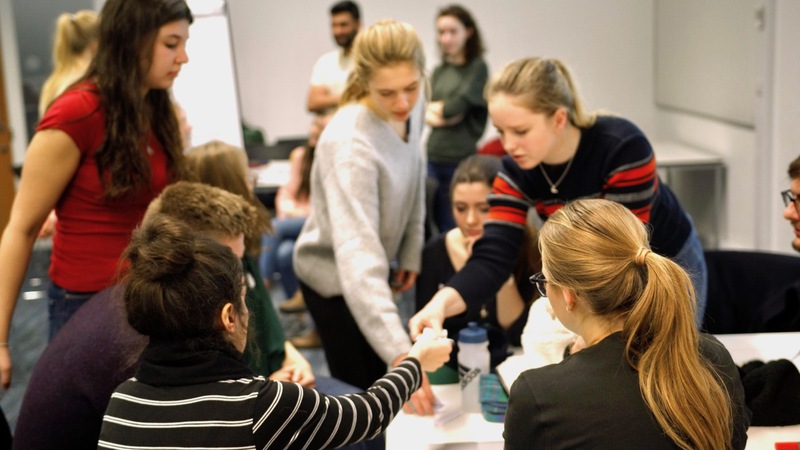 The University of Bath encourages students to be active partners in their education, helping to create and develop their learning and teaching. A highly engaged student community helps to inform University strategy and enables us to continually improve and develop every aspect of your experience. Your feedback helps us to monitor and enhance what you learn, how you are taught and assessed and the services and facilities we provide to support you. There are a number of ways that you can get involved, give feedback and make real positive changes to the student experience at Bath. Most changes that take place at Bath are a direct result of students working with staff to find solutions and make improvements. Academic Reps champion the student voice and represent their views on everything related to learning and teaching. Reps ensure that student concerns, views and opinions are heard and acted upon by the University and The SU Bath. They play a vital role in bringing about the changes you want to see on your course. Academic Reps are elected at the start of each academic year and the whole process, from nominations to the vote through to the training of Reps, is organised by The SU Bath. Academic Reps are supported by The SU Bath, working in partnership with the Student Engagement Team in the Centre for Learning and Teaching. Email The SU Bath for further information. SSLCs are the main forum for communication between staff and students. Most of the work that will shape your course takes place in these meetings. At SSLCs, Academic Reps raise students’ concerns, views and opinions about learning and teaching, propose changes and improvements and help staff to further develop your course and department. SSLCs are attended by Academic Reps and staff members. All departments have at least one SSLC to represent the interests of taught students. There are separate SSLCs for doctoral students. In many departments, Academic Reps chair the SSLC. Email Student Engagement for further information. To find out how the University and The SU Bath support SSLCs, see Code of Practice QA48. Change Champions are students who independently design and lead their own projects (either individually or as a group) to enhance the learning and teaching experience at the University of Bath. Change Champion Projects receive support and guidance from staff in the Centre for Learning and Teaching and The SU Bath, and can also apply for University funding as well. Change Champions receive training to lead their projects and gain invaluable experiences for their personal and career development, including leadership, project management, research skills and networking opportunities. Change Champion Project hours also count toward the Bath Award. Email Change Champions for further information. Toward the end of each semester, the University asks all students to complete unit evaluations. This is an opportunity for you to provide anonymous feedback about the curriculum, teaching and assessment for each of your units. Unit evaluations help staff to further develop the different aspects of your course, but you can always voice your feedback anytime either directly to staff or through your Academic Rep. Taking part in any of these surveys is your opportunity to provide feedback about every aspect of your time at Bath. Your feedback helps the University to continually develop and enhance what you learn, how you are taught and assessed and the services and facilities we provide to support you. These surveys also provide valuable data that help the University to monitor, and take steps to improve, student satisfaction, ensure the quality of your education and inform prospective students. All survey responses remain strictly confidential. If you have any comments or queries about student engagement at the University of Bath, please contact your Academic Rep or your SSLC, your Director of Studies, The SU Bath, or the Student Engagement Team in the Centre for Learning & Teaching.